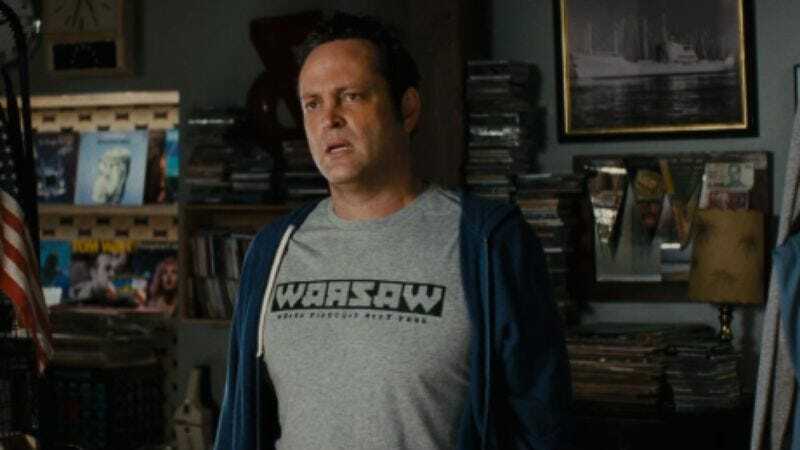 As the True Detective casting mill slowly grinds its way through every actor with movie sins to repent for, talk has now turned to Vince Vaughn, who TV Line reports could get his own chance at redemption—likely by playing a character who’s beyond it, as are we all. Colin Farrell and Taylor Kitsch were recently reported as being in that same line of penitent hopefuls, and now Vaughn is said to be in preliminary, probably somewhat exhausting talks for one of the second season’s four leads. Vaughn has gone dark before in Clay Pigeons, and he’s experienced the meaningless banality of evil by remaking Psycho for no reason, though it’s been some time since he did anything intentionally depressing. But Vaughn did used to call things “money” once, and like time, money is a flat circle. Some of it, anyway. Coins. Coins are flat circles.